STYLISH PARADOX. Style for the Refined Woman. Style for the Refined Woman. It feels like this work week has dragged along so slowly! But, we’re almost there! This weekend will be busy with a girl’s birthday celebration. I’m hyped and ready! I’ve found that if you have an eye for style, it’s very easy to find yourself naturally drawn to things and people who are stylish. While in a business meeting, I spotted a colleague wearing a beautifully patterned African print skirt. Of course, I complimented her and she freely offered to order me as many skirts as I could pay for. They were reasonably priced and I elected to get three; but I had no idea what they would look like when they arrived. Luckily, when they showed up on my desk, they were all stunners! If you are thinking of getting a wardrobe lift, need to tidy up your closet, or an outfit for a special event, #letmestyleyou. I’d love to hear from you. THE BOMBER JACKET. Call it a new trend, but it’s been here before. It’s Monday, and I can’t wait for the weekend already! I’m looking forward to spending a girl’s weekend in celebration of a very good friend’s birthday! When I was growing up, my Mother would always make it known when I had on a certain shoe or outfit, that she used to wear it back in the day. Some people talk about the circle of life, well, there is also a circle of style! Here’s a little history for you on a current trend, that has been around since 1917. The Bomber Jacket came into play during the time of World War I, when the United States army decided to create them for their pilots. At that time, they were sometimes called a bombardier jacket or flight jacket and were often made of leather. Variations of the jacket included high or fur collars, and warm linings. In the 1950’s, the bombers transitioned into the world of style, and that brought into play a number of variations. Since that time, the “bomber” has been linked to the punk movement, motorcycle clubs and has even been seen as a symbol of rebellion. Today, it is worn frequently in the fashion world and seen on celebrities and the like. A couple of years ago, my daughter Ashleigh went on one of her vintage shopping sprees and came back with a funky bomber jacket. When she came back to visit on college break, I took it over! Mixing my wardrobe: vintage versus new. You see, there is nothing new under the sun. Listen to your Mother! Well, I’m back into full grind mode as I returned to my day job this past week. I’m very excited about new ideas and collaborations that are on the horizon. Many of you know I consider myself to be a diehard California girl that absolutely abhors cold weather and rain. I know, I’m typical in that manner, lol! And to be honest, I don’t even really own your typical winter wardrobe; and why would I? But it’s been a little colder this season and I’m open to change and expanding my wardrobe a bit. During my holiday break, I took it upon myself to pick up a few clearance items at Target including this sweater dress and turtleneck. I paired my dress with olive green booties from Vince Camuto and a lovely tote bag from Anne Klein. Stay warm and enjoy your weekend folks! Until next time, love and light! 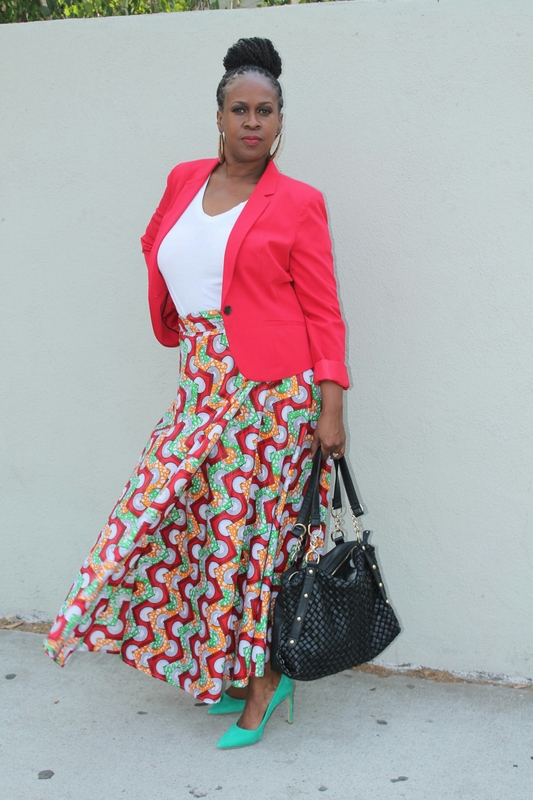 This edition of “Stylish Sistahs” has nixed the 40 plus age inclusion and features some more pretty amazing beauties who never disappoint with their fashionable flair. These divas hail from Texas, Michigan, California and even the United Kingdom! They are entrepreneurs, wives, mothers, sisters and friends who just happen to know how to turn heads with their incredible sense of style. When you have a moment, head over to Instagram and check these ladies out! You won’t be disappointed! What style related instagram accounts are your favorites? Make sure to comment below. 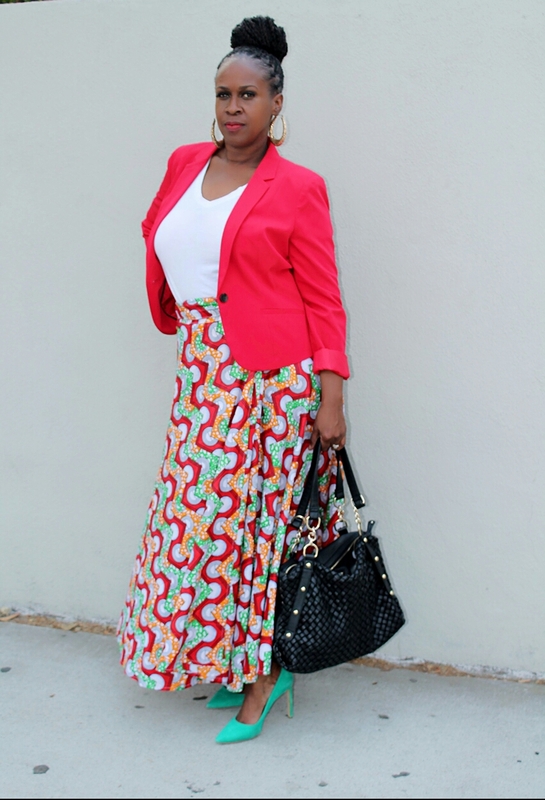 Stay tuned for the next edition of “Stylish Sistahs” coming to the blog, this time next month! Today, of course marks that beginning of 2017 and it is also the 1st birthday of Stylish Paradox! 2016 was a year of many mountains and valleys in my personal and business life, but I’m here to tell you that you should never question God’s purpose for your life! My journey to beginning an image consulting business was an interesting one. I give lots of credit to my awesome sister friends and family (you know who you are!) who pushed and encouraged me. They saw the natural talent I possessed, but even I questioned my abilities. I questioned the validity of my passion, while others I loved did too. Was it too shallow, a promotion of vanity, would God approve? As I moved along from month to month, there were barriers and crisis moments that I felt were sure to halt any progress I was making. But every time, and I mean every time I came close to giving up, God showed up! I mean, really showed up! There was that one day, when I was on the verge of throwing in the towel and I checked my email to find an ask from a brand to collaborate with them. The day after that, I received another email from another brand! This business was totally unsolicited, nor was it ever expected. Since this time, I have been approached by others with monetary benefit! There was also another incident which was solid validation to me that empowering women is the mission of Stylish Paradox. I walked into my local 7-11 store, and the store clerk (who I see daily), said to me, “You look so nice today and I want you to know that I notice how you are dressed and carry yourself everyday and you are an inspiration for women.” I thanked her profusely. But when I got to my vehicle I couldn’t help but tear up, because this let me know that God is with me and that should be enough for me! In a nutshell, “NEVER QUESTION GOD’S PURPOSE FOR YOUR LIFE.” No matter how trivial you may think your passion is. Pray on it, ask God for guidance and he’ll direct your path! In the end, your journey may take you to heights you never imagined. And so, the journey of 2017 begins! Again, thank you for taking the ride with me and I hope you will continue. I appreciate you! 2016 was truly the year of extra. And as my pastor said last year in preparation for 2016, “Think Big”. And so it is. Stylish Paradox 2016: It’s a Wrap. Let’s Recap! We are just three days away from the start of 2017 and it’s unbelievable that we are here already! Thanks to each of you who have traveled this new journey with me and thanks in advance for your continued support. You are appreciated! I’m wishing each of you a safe, happy New Year’s Eve and New Year’s Day! Let’s strut into 2017 with love; God knows it’s what we all need. Hey there, Stylistas! And a Merry Christmas, too! For some reason, I’m feeling a little melancholy today. Maybe because the empty nester syndrome has truly set in and/or maybe I’m still trying to get my life, lol! After hearing the word this morning, I was reminded when you’re in a certain state, it’s just God letting you know that something greater is on the horizon! And with that said, enjoy today folks and remember this is the day the world has chosen to celebrate Christ’s birth. Let’s keep a spirit of giving and love the year round! A Very Cold Day in LA. Gearing up for tomorrow and totally siked about time away for the holidays. Sorry if I’m repeating myself, but I can’t contain my joy! The look in this post was shot on a very cold day in Los Angeles with my photographer/niece after her return home after many months! I was so excited to catch up with her, but I wasn’t too thrilled with the 40 something degree weather we had to brave! And for those of you who are cold tough, don’t judge me! I’m a #caligirl to the bone! My next post will be on Christmas Day! Love you guys and Happy Holidaze! And remember, Jesus is the reason for the season! We are just days away from Christmas! I hope everyone is enjoying the holiday season and looking forward to Christmas and New Year’s Eve/Day. I can’t wait until Thursday of next week, when my holiday break begins! I’ll have a whole 10 days away! Yippee! You all know I love a roomy, comfortable and cute outfit! I think it’s important if you wear something roomy it should also display that you have some form, too! For example, an A-line dress with a cinched waist, or blouse/dress that can be belted to accentuate your waist. I found this bohemian style dress at Forever 21, during one of my quick neighborhood mall walk-throughs. (Not sure if that exists, but it was quick for me!) This number is giving me all kinds of life, with lace and bell sleeves! This buy was a double win for me with two of my favorites, comfy and bohemian! I paired the dress with some old bell bottoms (also from Forever 21), that were tucked away in my armoire. Yay, for closet shopping ladies! Just a note: Don’t be swayed from buying from Forever 21! And it’s totally okay to have some pieces in your closet that aren’t timeless. The idea is to mix your classic and trendy items to spice up your wardrobe, every now and then! Until my next post, love and light! Black Businesswomen ROCK! Take Over Los Angeles! Last Saturday, I had the pleasure of being present at the 5th Annual Black Business Women Rock! Conference & Expo. As a new business owner, it was my first time attending! Over 500 women converged on the Los Angeles Airport’s Renaissance Hotel for a day filled with activities and networking opportunities. At the beginning of the conference we were introduced to the moderators for the day, Jill Jordan Greene; Executive Business Leader & Michelle Washington; CEO for the “Women of More” magazine. Attendees were blessed with a myriad of knowledge on running a business; whether they were thinking of beginning a business, owners of a startup or a seasoned entrepreneur. A variety of vendors filled the breakout rooms, so I had to monitor my pocketbook and spending, lol! And music lovers were serenaded by a dynamic female disc jockey, spinning funky tunes! I was so uplifted by the story of the founder of this organization, Natalyn Randle, who spent over 20 years working for AT&T before starting her own business. She decided at age 52 to begin this endeavor with her daughter, Kawai Matthews. Kawai, a graduate of UC Berkeley, was fresh out of college, trained and ready to launch with her mother into great things! BE THE BEST VERSION OF YOU. LET ME SHOW YOU HOW. Being styled by Julie is an amazing experience! 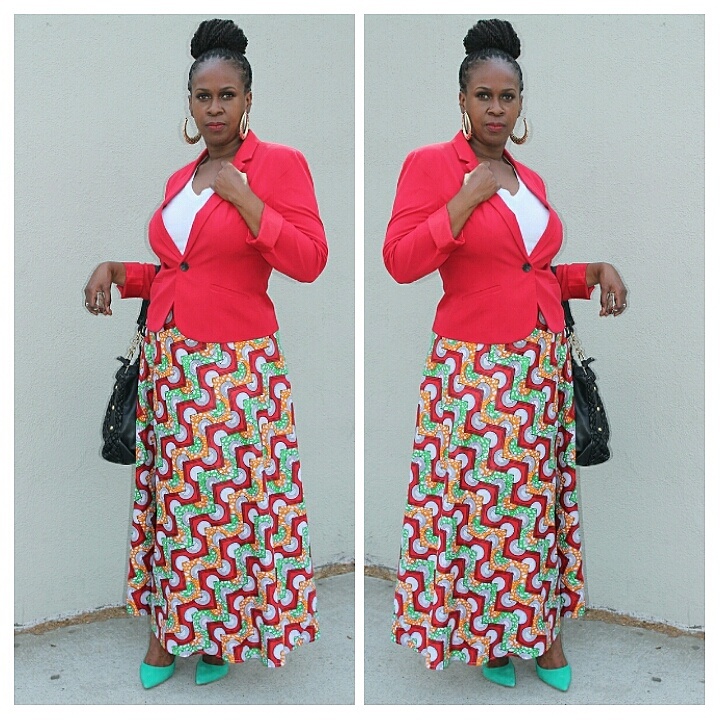 As an always-on-the-go woman of God, wife, small business owner, daughter, sister, aunt, friend, community servant, and more, I am pretty no-nonsense, quickly discerning what I like and dislike when it comes to clothing choices. I love that Julie establishes instant rapport and quickly demonstrates her understanding of me, my lifestyle, and my fashion needs and goals. Her detailed and highly-attuned process results in spot-on, go-to wardrobe solutions. Our session was focused, honest and fun, and left me confident as the best version of myself. I trust Julie’s sound judgment and expertise, and am over the moon with our start.